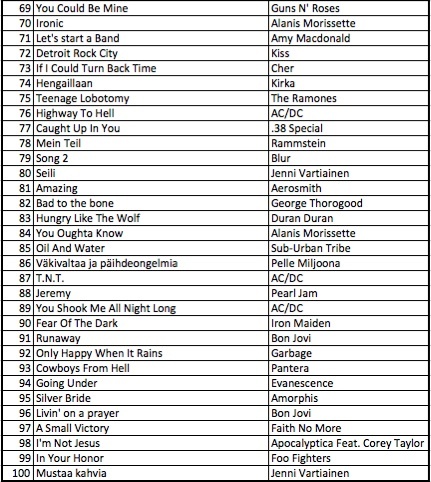 Playmysong 1st Year Top 100 Songs! 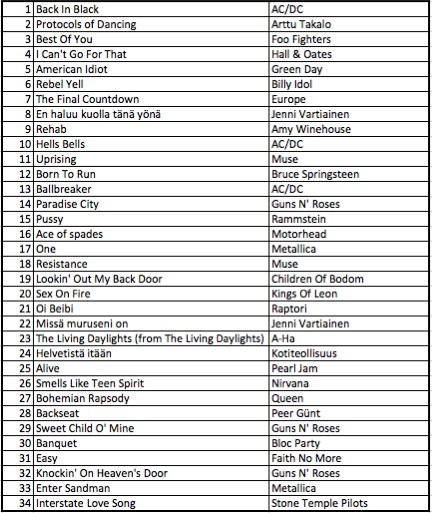 2 Responses to Playmysong 1st Year Top 100 Songs! 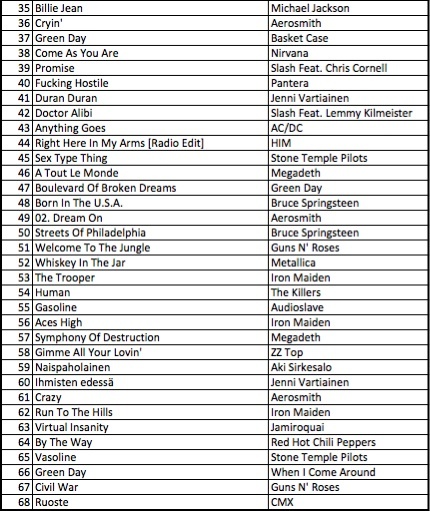 I hate to say it, but this is just a top 100 “rocksongs” list. There’s very little variety here. Hi Leigh! Thanks for your comment. Actually the Playmysong powered venues choose the music they use by themselves. As a service, Playmysong is totally music agnostic. The first venues that have joined our network have been mostly rock bars, but in the future there will be other genres as well. Best way to get more other genres featured is to launch your own Stereo and get a lot of people playing songs from it. All you need is an iOS device and our free app. Please let me know if you have any other comments or questions!